Natural Harvest - Meguro, Tokyo, Japan. 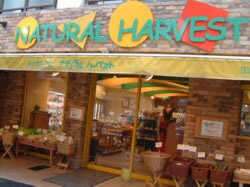 Natural Harvest carries a range of organic fruit and vegetables. They are reasonably priced. 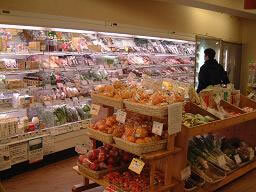 They also carry the usual range of items you will find in Japanese style health food stores. They have washing powder made from grated soap, brown rice, green barley drink powders, organic wines and so on.